When 1999’s The Phantom Menace became the first Star Wars movie in 16 years, it earned $431 million at the US box office. I’ve always asserted that it would’ve done even better if more people had actually like the film. With all the pent-up demand that came from those 16 dormant years, I think Phantom Menace’s $431 million was a “floor” for the initial offering in a new Star Wars trilogy. I firmly believe that Menace would’ve made much more money if it hadn’t turned off so many fans. With 2015’s The Force Awakens, I think we get a better idea what the launch of a fresh Star Wars trilogy can do when embraced by fans and critics. Unlike the lukewarm reception that greeted Phantom Menace, Awakens enjoyed massive praise on all fronts – and that allowed it to earn a stunning $933 million in the US, a figure that allowed it to blow past prior top flick Avatar by almost $200 million! I’ve always thought Menace received more animosity than it deserved. Was it a flawed movie? Definitely, but it wasn’t the abomination some have claimed. It mixed highs and lows to be a problematic but often enjoyable effort. Nonetheless, Awakens came as a relief, as the nearly life-long Star Wars fan in me wasn’t sure he could take another “flawed trilogy launch”. Though I can’t call if perfect, Awakens works about as well as I could hope. Set about 30 years after the Empire’s collapse in Return of the Jedi, we learn that the Resistance – successors to the Rebellion from the Original Trilogy – battle to fill the leadership void. The Resistance goes against the First Order, a group that came out of the Empire’s ruins and that pursues a similar fascist agenda. Both sides view Jedi Luke Skywalker (Mark Hamill) as the key to the struggle, but he vanished years ago. This leads to a race between the Resistance and the First Order to find Luke. A map purports to reveal Luke’s location, and it ends up stored inside droid BB-8. Resistance pilot Poe Dameron (Oscar Isaac) attempts to take it to General Leia Organa (Carrie Fisher), but First Order bigwig Kylo Ren (Adam Driver) captures and tortures him. First Order stormtrooper FN-2187 (John Boyega) defects and rescues Poe. They escape and Poe rechristens FN-2187 as “Finn” to give him a more human name. The First Order shoots down their stolen TIE Fighter, so Finn and Poe crash-land on the desert planet Jakku. Finn becomes separated from BB-8, who ends up befriending local orphan scavenger Rey (Daisy Ridley). Eventually Finn catches up with BB-8 – as do First Order forces. Finn, Rey and the droid escape in a decrepit bucket of bolts spacecraft, a ratty old ship called “The Millennium Falcon”. We follow their path to the Resistance and a variety of encounters and adventures along the way. Going into the theatrical release of Awakens, I maintained a nearly pathological avoidance of anything that I deemed to fall under the “spoilers” category. In my mind, literally any info about the film equaled “spoiler”. Heck, I was upset I even knew the title of the tale – I’d have preferred to enter the theater completely devoid of foreknowledge about the movie. I think this approach paid off, as I suspect I enjoyed my initial viewing more than otherwise might’ve been the case due to my absence of prior information. Frankly, it became tough for me to separate how much of my pleasure stemmed from the movie’s strengths and how much came from my deep affection for the Star Wars series. It was such a kick to revisit the characters/situations that at times the action and story almost felt ancillary. Don’t take that as an indictment of the movie, though, as it does offer a lot of excitement and drama as it reinvests us in the Star Wars universe. I’ve dispelled any concerns that I liked Awakens solely due to residual fondness for the series because I’ve seen it so much. This Blu-ray represented my fourth screening of the film, and I think I like it more each time I see it – I find myself less bothered by the flaws and more enchanted with the characters and story. Awakens integrates more naturally into the franchise than the Prequel Trilogy did. While I did mostly like those films, I felt George Lucas worked too hard to make them “fit”. He seemed so desperate to connect the Prequels to the Originals that the elements didn’t always mesh. The same seems less true for Awakens, as it acts like a logical extension of the Originals. While the Prequel characters didn’t always feel like they accurately reflected their Original Trilogy versions, the personalities in Awakens seem more representative. When characters carry over from the Originals, they maintain a good relationship to their prior selves. That seems true for new characters as well. The roles unique to the Sequel Trilogy just “feel Star Wars - if that makes any sense – and they seem truer to the series than a lot of the Prequel folks did. Lucas brought a certain stiffness and awkwardness to the Prequels that doesn’t reappear here, as director JJ Abrams brings us a movie with a sense of flair that connects very well to the Originals. This desire to remain true to the Originals can be a bit of a burden, though, and that leads to the primary negative I find in Awakens: a sense of déjà vu. One can observe many, many story/character elements here that directly echo aspects of the Originals. Even in my brief – and intentionally superficial – synopsis, one can easily find story elements that seem lifted from the Originals. In Star Wars, rebel forces placed an important message inside an adorable droid who needs to reach a prominent figure in an attempt to turn the tide of the battle. This droid ended up stranded on a desert planet where a young person found it and eventually escaped opposition forces inside the Millennium Falcon. The way Awakens depicts BB-8’s journey doesn’t offer a literal rehash of R2-D2’s trek in Star Wars, but boy, the two have an awful lot of similarities – and the commonalities don’t stop there. Literally from beginning to end, we get rehashed story elements – and I don’t just mean cute touches like quick dialogue quotes. Because of these repeated bits, Awakens often feels like Abrams and company put Star Wars, The Empire Strikes Back and Return of the Jedi in a blender and this movie was the result. While Awakens doesn’t feel like a true remake, it comes pretty close at times – we really do find a lot of Star Wars with some clear Empire and Jedi elements reflected as well. Obviously, this was intentional, as the filmmakers unquestionably knew what they were doing. The question becomes why - why create a film that so blatantly echoes its predecessors? With additional viewings, I think I’ve better understood the choices on display. Awakens acts as a reintroduction to the series, and while I won’t claim Abrams and company felt an active desire to wash away the bad feelings aimed at the Prequels, I do believe they wanted to make a movie that seemed more like part of the Originals. Whether one likes or hates the Prequels, there’s no way to dispute the fact that they seem very different than the originals. As much as George Lucas wants us to view Episodes I through VI as one long movie, this doesn’t work because the Prequels simply come with too many stylistic and substantive differences than the Originals. Where the Originals were loose and lively, the Prequels tended to be stiff and stilted. So the decision to let Awakens strongly echo the Originals makes sense because it wants to bring us back to that universe. It needs to let us know we’re not back in Prequel territory and that we’re going to get something in the same vein as the Originals. The level to which Awakens remakes the earlier films bothers me intellectually, but it bugs me less and less with each viewing. As I mentioned earlier, this Blu-ray became my fourth time through the film, and with each screening, I notice the “remake elements” to a smaller degree. Which seems counterintuitive. Logically, I should think more poorly of Awakens as I gain time to process it. On first viewing, I could be carried away by the action and the simple excitement of a new Star Wars adventure, but with additional reflection, I should find myself more perturbed by the flaws. That doesn’t become the case, though. Despite all those déjà vu moments, Awakens offers such an involving and exciting adventure that I can get past the story issues. Even though it borrows heavily from its predecessors, Awakens somehow manages to feel fresh and new – it may plunder its past, but it still comes across as its own entity. The unique cast members do a lot to add that flavor and flair. All seem more than satisfactory, but Driver stands out as the best of the bunch. As the villain with a complicated past, Driver gets arguably the most difficult role of the bunch, but he pulls it off well. Despite many opportunities to chew scenery, Driver plays Kylo Ren in a fairly understated manner that adds to his menace and depth. Driver finds himself in some of the movie’s most challenging sequences and he carries them well. Ridley also does wonderfully as essentially “new Luke”. A force-rich character from a sand planet, she does take on the Skywalker mantle, and that could be a serious burden to bear, but Ridley handles the challenges with aplomb. Actually, I appreciate Ridley’s performance more with each new viewing. I appreciate the layers she brings to the part and see new nuances each time. I might eventually retract my claim that Driver fares best, as Ridley may be as good – or better. Of course, it’s wonderful to see the Originals actors return, and Harrison Ford gets the best exposure of the bunch. That’s partly because he earns by far the largest role of the “Big Three” from the Originals, but it’s also because he so strongly re-embraces the part. I don’t think it’s a secret that Ford maintained some ambivalence toward the role that made him a star. By Jedi, one could tell that he had begun to tire of the part, so I wouldn’t have been shocked to see a less than invested Ford in Awakens. I guess 32 years away from the franchise gave Ford new interest in the part, as he brings so much to Han in Awakens. As much as I like Driver and Ridley, Ford offers the best work here. I’m not shocked he didn’t get an Oscar nomination for the film – how often do actors in movies like this earn that sort of recognition? – but I’m disappointed, as Ford lights up the screen. Really, the only mild misstep I find in Awakens relates to its CG-based characters. In 2015, full CG characters pop up all the time, and I think artists have gotten lazy. I think they believe audiences accept mediocre CG work and they just don’t try as hard. I might be wrong, but honestly, I can’t figure out a better explanation for the less-than-realistic CG characters on display in Awakens. The rendition of non-organic participants works fine but the handful of flesh-and-blood CG characters look somewhat fake. Are they “take me out of the film” fake? Close to it – whenever I saw them, I couldn’t stop thinking that they were CG, and that’s a distraction filmmakers don’t want to occur. Again, this was another concern that subsided with additional viewings, but I still think the issue exists. Characters like Maz and Snoke simply lack the organic, real qualities they need. Despite that minor misstep, I really do adore Awakens. While I mostly enjoyed the Prequels, they never invested me in their adventures like this one does. Awakens pays homage to its forebears but also marks its own path and does so with action, style and emotion to spare. I can’t wait to see where the next chapters in the series go. Star Wars: The Force Awakens appears in an aspect ratio of approximately 2.40:1 on this Blu-ray Disc. Though not flawless, the image largely impressed. My only complaints came from a few minor soft spots seen during a couple of wife shots early in the film. Those remained brief and mild, and they cleared up quickly, so the majority of the movie seemed accurate and well-defined. I saw no jaggies or shimmering, and both edge haloes and print flaws were absent. Colors varied dependent on setting. Military locations – primarily those used by the First Order – focused on blues and reds, while Jakku went with a sandy orange feel. Other spots – Maz’s planet, the Resistance base – tended toward greens. All these hues seemed well-reproduced. Blacks showed good depth and density, and low-light shots provided nice delineation. Shadows were appropriately clear without too much thickness. All in all, the image worked fine. One disappointment: the lack of IMAX-expanded visuals. The Falcon’s escape from Jakku was shot with IMAX cameras, and when seen on an IMAX screen, that sequence would open up to fit the format’s aspect ratio. Other Blu-rays such as Interstellar and the second issue of Star Trek: Into Darkness went from 2.40:1 to 1.78:1 during those scenes. While this didn’t duplicate the IMAX ratio, at least it gave Blu-ray viewers a taste of the expanded visuals. Unfortunately, Awakens failed to do this. Granted, it’s not a huge loss due to the brevity of the segment in question. While Interstellar boasted more than an hour of IMAX footage and Into Darkness had about 30 minutes of this material, Awakens used IMAX for less than 10 minutes. Perhaps those behind the Blu-ray thought it’d be a distraction to alter the disc’s aspect ratio for such a short sequence, but wouldn’t the same argument hold true for IMAX screenings of the film? I don’t know why Awakens lacked the expanded ratio, but I remain disappointed. Perhaps like Into Darkness, a subsequent version will restore the IMAX ratio. Even better than the visuals, the film’s DTS-HD MA 7.1 offered the whiz-bang impact we expect from a Star Wars movie. Actually, like the visuals, matters started a little slowly; the first battles seemed reasonably immersive but not exactly dazzling. Slowly that changed, as the mix became more absorbing as the film progressed. The Falcon’s escape from Jakku used the spectrum in fine fashion, and the material continued to prosper after that. The climactic Resistance attack on Starkiller Base probably offered the most active sequence, but the whole track kept us engaged. Audio quality seemed solid as well. A few looped lines – mainly from Maz – could be a little “off”, but those were a minor concern at most. Dialogue was natural and well-integrated most of the time. Music sounded bold and full, while effects packed a strong punch. These elements showed good definiton and contributed excellent low-end response. The soundtrack suited the story and added a lot to the experience. All of the package’s extras reside on Disc Two. We open with a four-part documentary called Secrets of The Force Awakens: A Cinematic Journey. It runs one hour, nine minutes and 14 seconds as it presents comments from co-writer/director JJ Abrams, co-writer Lawrence Kasdan, Lucasfilm president Kathleen Kennedy, series creator George Lucas, production designer Rick Carter, VFX supervisor/2nd unit director Roger Guyett, head of design Doug Chiang, visual effects creative consultant Dennis Muren, composer John Williams, supervising sound editor Matthew Wood, co-producers Ben Rosenblatt and Michelle Rejwan, producer Bryan Burk, senior art director – vehicles Gary Tomkins, ESN art director Alan Tomkins, creature and droid FX creative supervisor Neal Scanlan, CG supervisor Daniel Pearson, visual effects supervisor Patrick Tubach, editor Mary Jo Markey, director of photography Dan Mindel, executive producer/unit production manager Tommy Harper, 2nd AD Chloe Chesterton, costume designer Michael Kaplan, construction manager Paul Hayes, animation sequence supervisor Phil Tippett, set decorator Lee Sandale, concept artist Christian Alzmann, model maker Oliver Steeples and Lee Towersey, and actors Daisy Ridley, Mark Hamill, Gwendoline Christie, John Boyega, Harrison Ford, Carrie Fisher, Adam Driver, Simon Pegg, Oscar Isaac, Peter Mayhew, Joonas Suotamo, Lupita Nyong’o, Andy Serkis, and Anthony Daniels. “Journey” looks at the revival of the franchise and bringing together the film’s team, concept art and design, story/character choices and the screenwriting process. From there “Journey” covers various effects, cast and performances, sets and locations, photography, ships, droids and costumes. Given my love for the Star Wars series, I could’ve watched four hours of this material. Still, 69 minutes offers a good length for a show of this sort, and “Journey” brings us a solid overview of the production. It blends interviews and behind the scenes footage to form a satisfying glimpse of the movie’s creation. One disappointment: unless it’s hidden as an Easter egg, nowhere in “Journey” or any of the set’s other components do we see Daniel Craig’s famous visit to the set/turn as a stormtrooper. Perhaps Craig agreed to this cameo only if it didn’t get revealed in this way, but I wish we could’ve gotten a closer look at his brief moment in the film. With The Story Awakens, we get a four-minute, one-second look at the table read. We get notes from Abrams, Kasdan, Kennedy, Isaac, Driver, Ridley, Boyega, Fisher, Ford, and Hamill. I hoped this would offer a complete – or at least long – table read, but we don’t hear much of the actual read itself. “Story” has some decent notes but lacks much substance; “Journey” already covers the read fairly well. A few featurettes follow. Crafting Creatures goes for nine minutes, 34 seconds and includes info from Scanlan, Pegg, Tubach, Mayhew, key animatronic designer Chris Clarke, creature/droid performer Arti Shah, supervising animatronics designers Vanessa Bastyan and Maria Cork, and actors Mike Quinn and Warwick Davis. As implied by the title, this piece looks at the design and execution of many non-human characters. It brings us a tight, fun take on the topic. During the six-minute, three-second Building BB-8, we hear from Abrams, Scanlan, Alzmann, Ridley, Isaac, Daniels, electronic design and development supervisor Matt Denton, senior animatronic designer Josh Lee, and puppeteers Dave Chapman and Brian Herring. We learn how the team brought BB-8 to the screen. The show adds a nice mix of notes on this iconic new character. Blueprint of a Battle: The Snow Fight lasts seven minutes, two seconds and features Abrams, Carter, Driver, Ridley, Boyega, senior art director Al Bullock, production designer Darren Gilford and stunt performers Chloe Bruce and Liang Yang. “Battle” takes on the specifics related to this climactic sequence. Like the other featurettes, it presents an efficient and informative piece. Next we get ILM: The Visual Magic of the Force. It occupies seven minutes, 55 seconds with remarks from Abrams, Guyett, Kennedy, Serkis, Tubach, Isaac, Lucasfilm EVP/GM Lynwen Brennan, visual effects supervisor Ben Morris, art directors James Klyne and Kevin Jenkins, digital artist supervisor Matt Rank, animation supervisor Paul Kavanagh, asset and environment supervisor Dave Fogler, and environment supervisor Susumu Yukuhiro. Here we learn of the work ILM did for the film. This one can be a little self-promotional at times, but it still adds a mix of insights. We focus on music via John Williams: The Seventh Symphony. In this six-minute, 51-second piece, we hear from Abrams, Williams, Kasdan, Burk, Kennedy, and editor Maryann Brandon. Like “ILM”, “Symphony” can be a little too packed with plaudits, but Williams presents a few good notes about his work. Finally, Force for Change lasts three minutes, 22 seconds and gives us thoughts from Kennedy and Abrams. They discuss a charitable fund connected to the franchise. It sounds like a good idea. Six Deleted Scenes fill a total of four minutes, 15 seconds. We see “Finn and the Villager” (0:36), “Jakku Message” (0:53), “X-Wings Prepare for Lightspeed” (0:27), “Kylo Searches the Falcon” (0:56), “Snow Speeder Chase” (0:56) and “Finn Will Be Fine” (0:29). “Villager” reinforces Finn’s humanity, and “Message” would’ve introduced Leia and C-3PO much earlier in the film. “Prepare” just gives us a little prep – it’s fairly forgettable. “Searches” adds a bit of intrigue via Kylo’s connection to Han, and “Chase” contributes a decent action beat. Finally, “Fine” shows Rey’s concern for Finn before she heads off on her movie-ending journey. Given their brevity, no one should expect anything major from these scenes. Nonetheless, they’re interesting – at least to a moderate degree. Fans may feel disappointed that the deleted segments lack much substance, but I’m happy to see them. Should any have made the final cut? Probably not. “Searches” works the best, but that’s the only one that shows any real “need” to be in the film. I’m happy to get a little more screen time for Leia and 3PO, but it works better to save their introduction until later in the story. 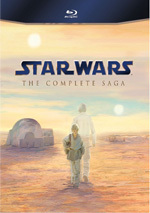 A third disc provides a DVD Copy of Awakens. It lacks any of the Blu-ray’s extras. A rousing return to form, Star Wars: The Force Awakens restores much of the luster lost during the much-lamented Prequel Trilogy. Packed with action and drama, the film reminds us why the franchise enchanted us in the first place. The Blu-ray provides very good picture and audio along with an informative set of supplements. 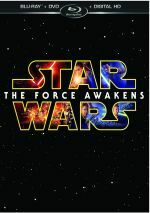 Arguably the best Star Wars movie since Empire Strikes Back, Awakens offers a terrific adventure.